The bards work. David Shakespear is the son of a stone mason. Artfully described by the local people in the know as, "He's the man". We are very fortunate to have him on board as one of the most talented bricklayers in town. He can turn a hand to almost anything. 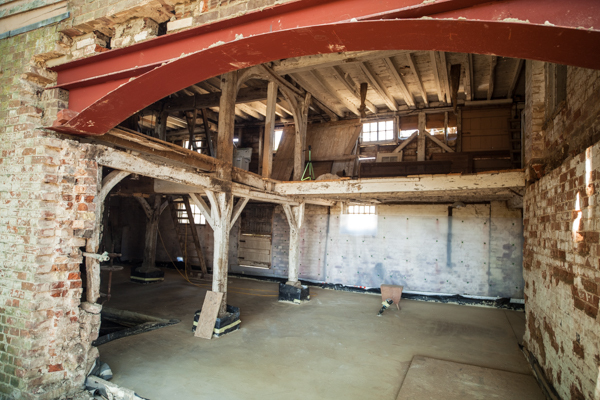 New opening... with a view into the new concrete floor in the mill. 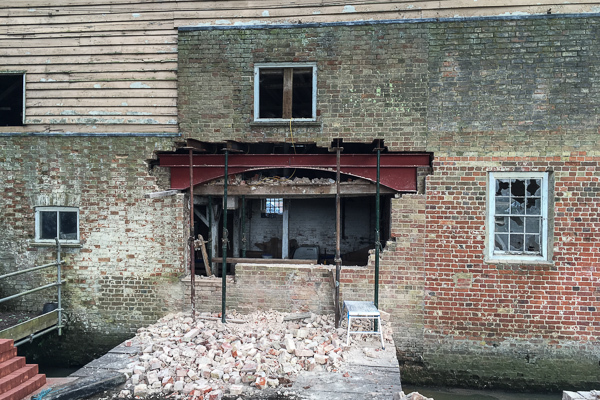 There are no fancy bricks in this scene just the steelwork in place and a big opening to get diggers in and out. Concrete teams in and out etc. Across support the temporary steel pins that holds up the building whilst the steel is put in place. 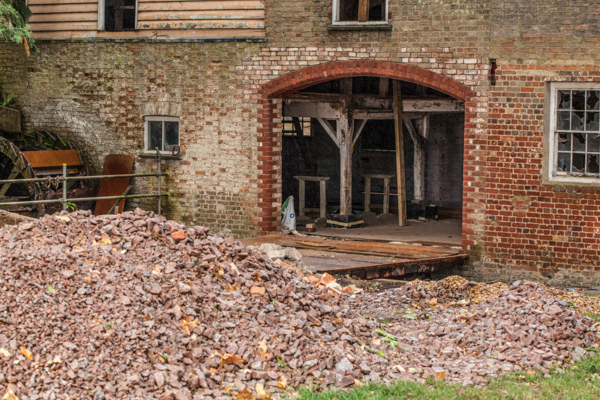 This enables the brickwork to be dismantled, cleaned and made ready for re-use. Steel and pins in place. Here we are ready to support the temporary pins in the wall and create a space for the steel to live. 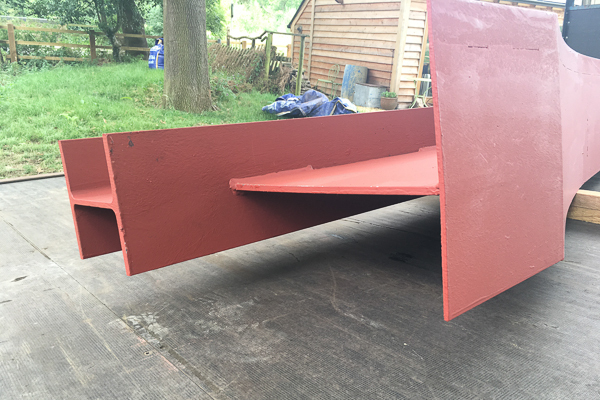 The steel for the opening into the kitchen area arrived on time. 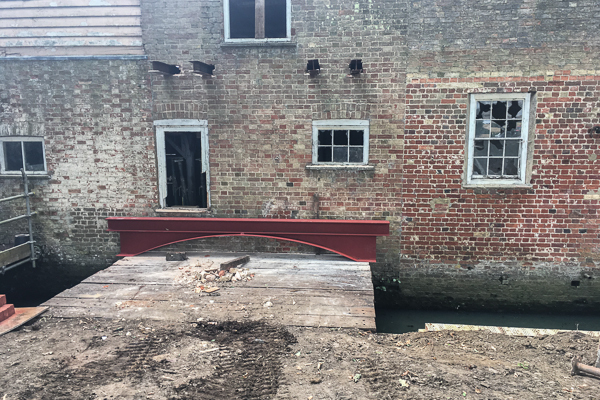 This is a substantial I-beam capable of holding up the mill on its own when the bricks are removed below it.